MinnPost has begun an occasional series of articles about election issues under the title “Effective Democracy”. The first installment is a look at the policy and politics behind expansion of absentee and early voting in Minnesota. It’s worth reading in its entirety but some key excerpts appear below. In 2014, Minnesota will join nearly 30 other states in offering expanded access to the polling place, adding “no-excuse” absentee voting that means citizens no longer will have to fudge about why they want to vote early. Voting-rights advocates are happy with the expansion but disappointed that the Legislature failed to approve early voting. More than half of the states now offer voters both options. Advocates for early voting and no-excuse absentee balloting view them as complementary policies meant to help voters more easily participate in elections. But, for Minnesota, they didn’t come as a pair. Gov. Mark Dayton has maintained that he won’t sign changes to election laws unless they have broad bipartisan legislative support. DFL lawmakers, who control both chambers, were able to persuade their GOP colleagues to support no-excuses absentee voting but couldn’t gain their support for early voting. 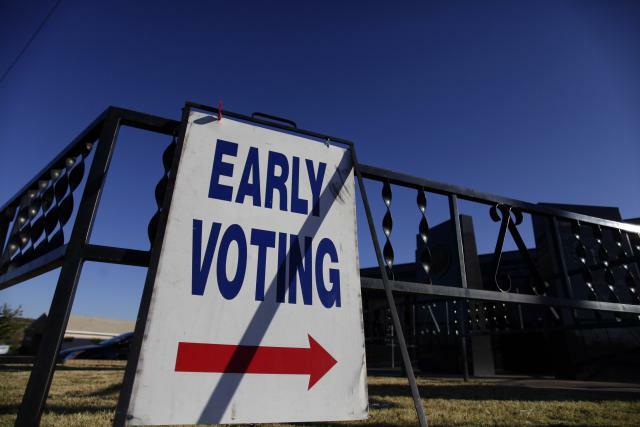 Advocates of early voting, such as the League of Women Voters, argue that states across the ideological spectrum use it to make voting more convenient for their citizens. Until the change takes effect next year, Minnesota lacks flexibility for voters to cast a ballot before Election Day — at least for those following the letter of the law. In 2014, voters in Minnesota no longer will be required to offer an excuse to cast absentee ballots, if they don’t want to appear in person at their polling places on Election Day. Local government officials expect the number of absentee ballots cast to spike as voters take advantage of the change. But lawmakers and other officials also acknowledge that many voters already treat the system like no-excuse absentee voting currently exists in Minnesota. Elections officials such as [Ramsey County election official Joe] Mansky and Patty O’Connor, who runs elections for Blue Earth County, say that early voting is easier and cheaper for local governments. For one, all of the paperwork and procedures surrounding absentee balloting make it more expensive. Mansky said there are 22 procedural steps that go into processing an absentee ballot, versus only nine for early voting. He also told lawmakers that no-excuses absentee would cost Ramsey County an estimated $7.28 per “voter transaction,” compared with only $3.80 for early voting. O’Connor said her cost estimates were about the same. Mansky also supports early voting because it allows local elections officials to treat voters more like those who cast their ballots on Election Day. For a certain time period leading up to Election Day, early voters have the opportunity to go to a centralized governmental location, such as City Hall, and cast a ballot in person. Just like in a polling place on Election Day, once a voter fills out a ballot, it goes into the ballot counter. That removes the opportunity for a ballot to be rejected. “We treat you just the same as if you were voting in your polling place,” Mansky said. Early-voting opponents, such as Dan McGrath of the conservative group Minnesota Majority, also said that the measure would open up Minnesota’s voting system to potential fraud. Because Minnesota allows vouching [where a registered voter can identify a fellow registrant in lieu of ID], McGrath argued that unscrupulous people could vouch for a huge number of voters leading up to Election Day if early voting were put into place. It would be difficult, he said, to adequately staff voting sites with partisan poll-watchers over a two-week period, or the length of time lawmakers would choose to designate for early voting. In the mid-1990s, Ramsey County conducted a no-excuse absentee-ballot pilot program by obtaining a waiver from a now-defunct state agency called the Board of Government Innovation and Cooperation. The county’s number of absentee ballots in 1996, when the waiver was in effect, jumped by about 10,000 from the 1992 election. In the 2000 presidential election, after the Board of Government Innovation ended and the waiver had expired, the number of absentee ballots dropped back to 15,976, roughly the 1992 average. “The numbers are fairly clear that once that kind of option was available, a lot of our voters took advantage of it, and once the waiver expired, then those numbers went right down,” Mansky said. As the article notes, “Effective Democracy is a year-long series of occasional reports supported by the Chicago-based Joyce Foundation, as part of a grant made to MinnPost and the Wisconsin Center for Investigative Journalism.” If this article is any indication, it should be an interesting series indeed! Be the first to comment on "New “Effective Democracy” Series Starts With Look at Early, Absentee Voting in Minnesota"